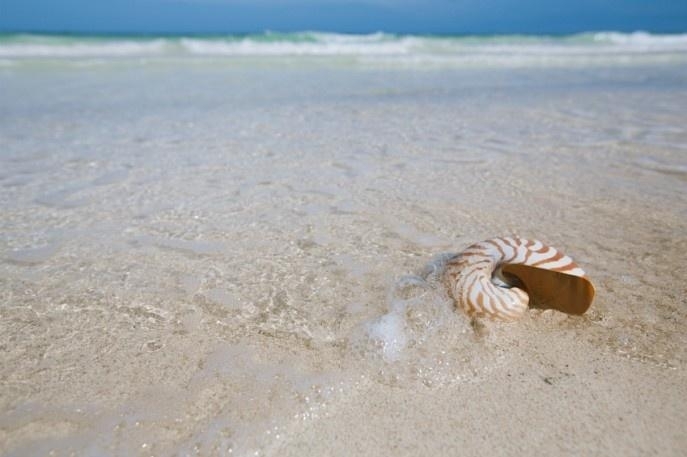 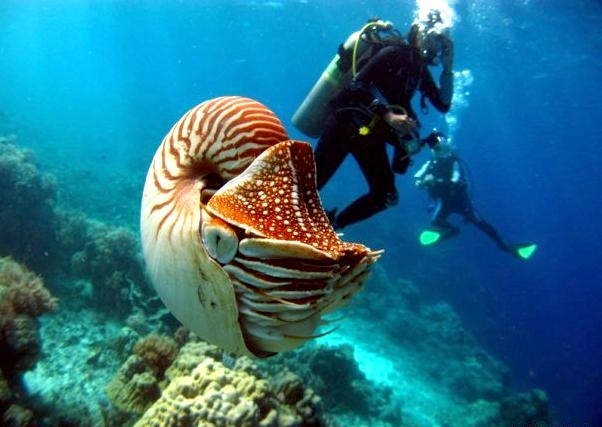 The Chambered Nautilus reaches about 20 centimeters in length. 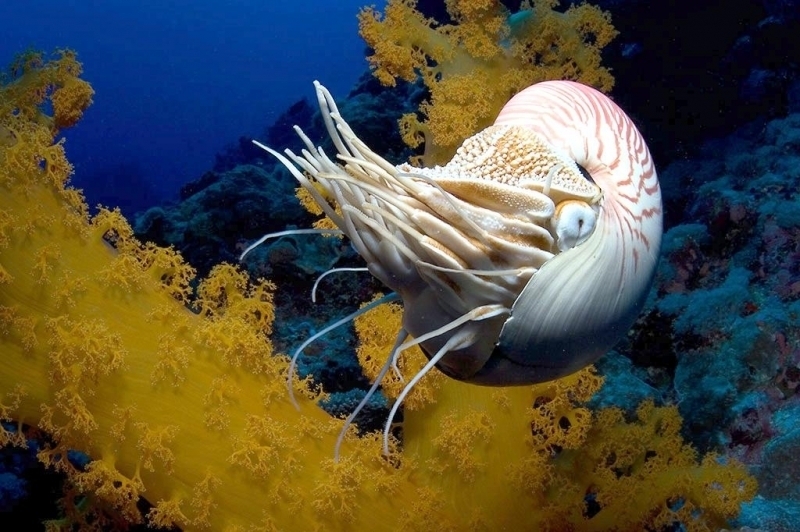 The animal’s name comes from early times when the person’s title who took care of navigating the boat was called Navtilos, which means Navigator. 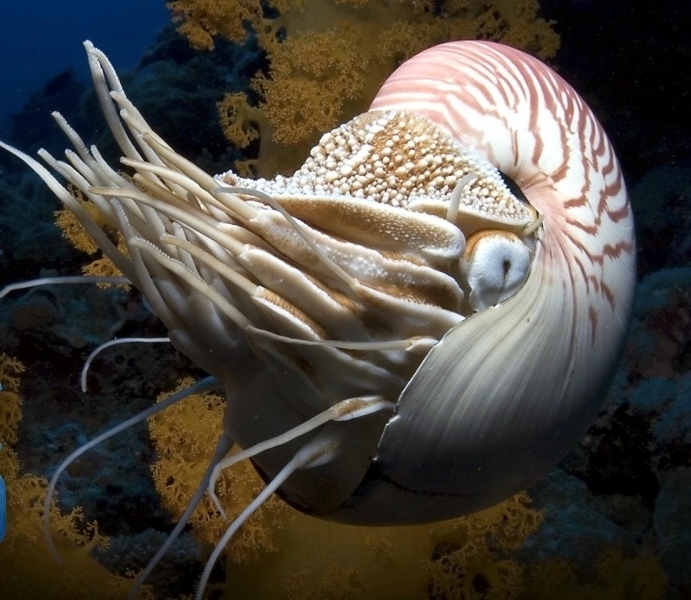 In roman Latin, the name Navtilos translates to Nautilus. 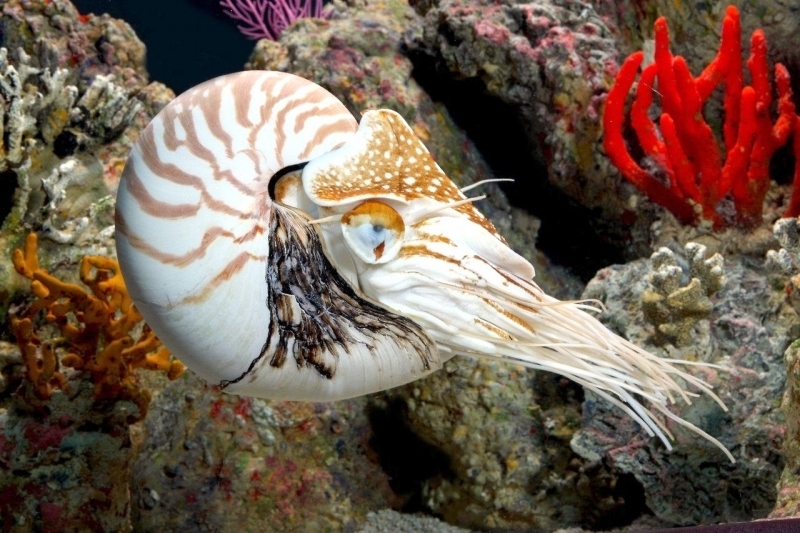 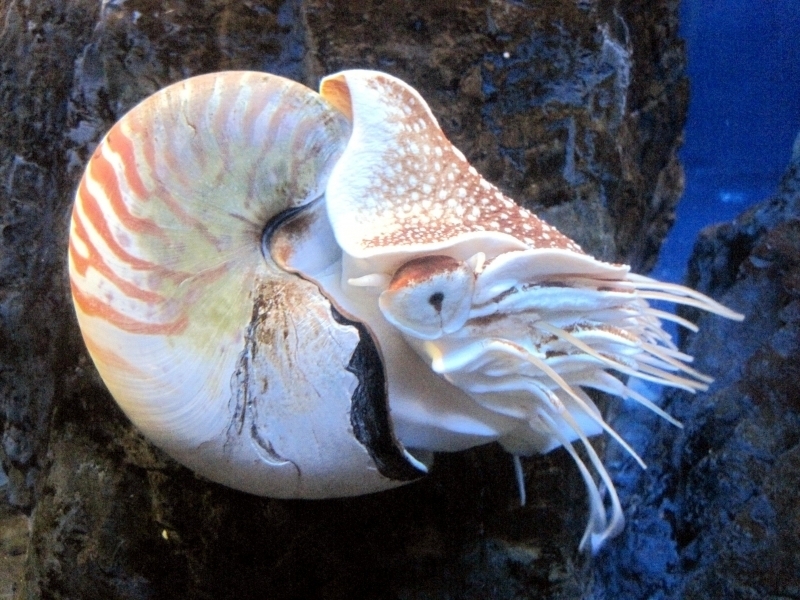 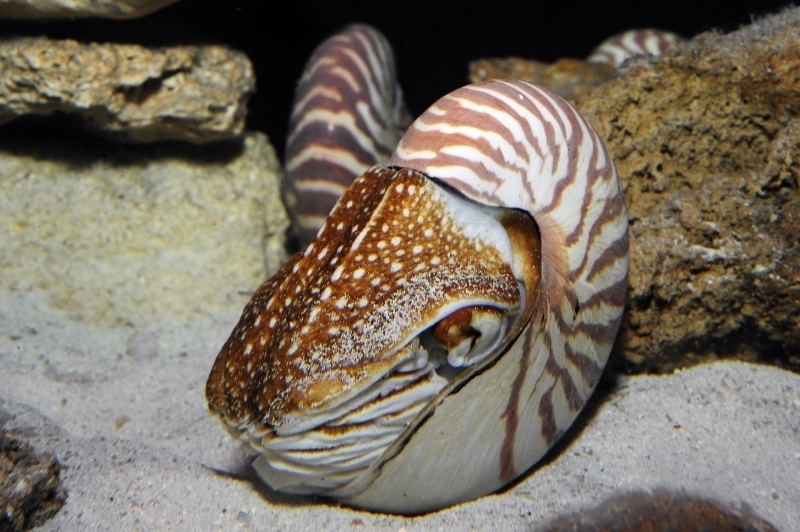 The Chambered Nautilus can be found in tropical waters throughout the Pacific & Indian oceans. 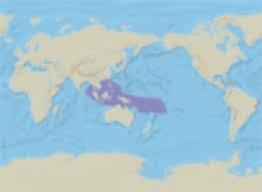 This area lies between the Tropic of Cancer in the Northern Hemisphere and the Tropic of Capricorn the Southern Hemisphere where the temperature never goes below 65 °F. 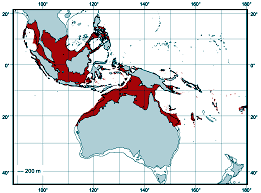 The tropical ocean is often referred as the ocean’s rain forest as it contains many different corals. 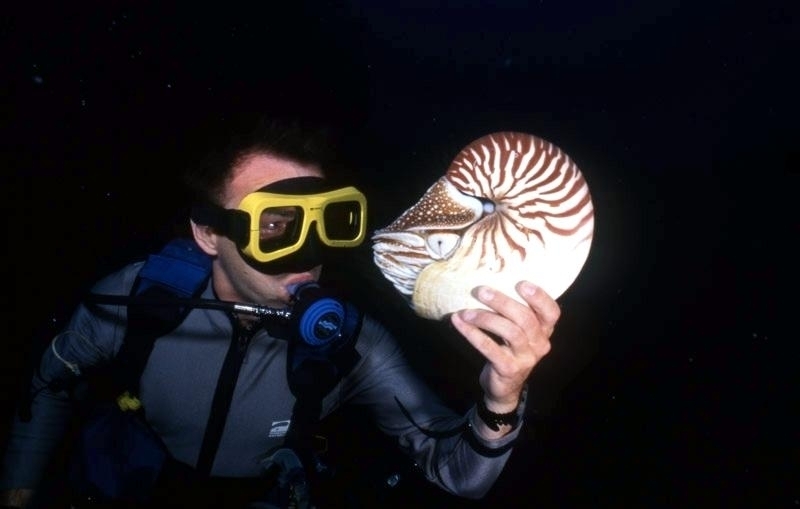 These reefs contain plenty of resources for marine life and it also provides shelter for many marine creatures such as the Chambered Nautilus. 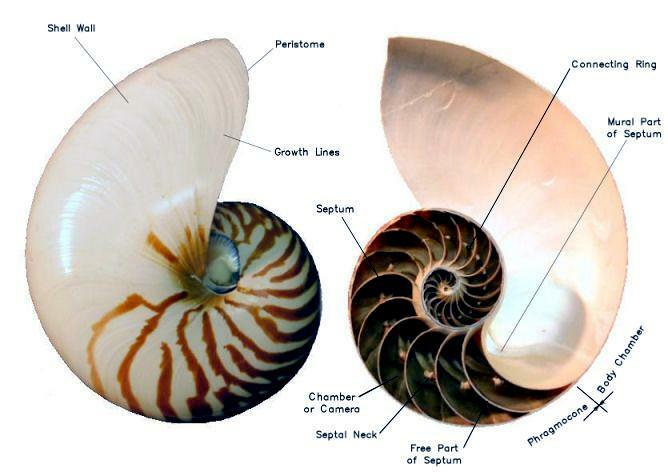 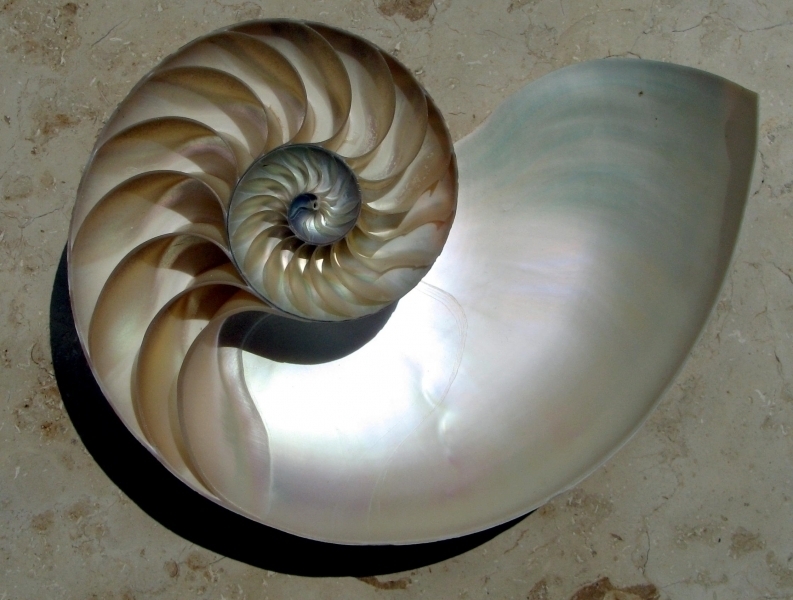 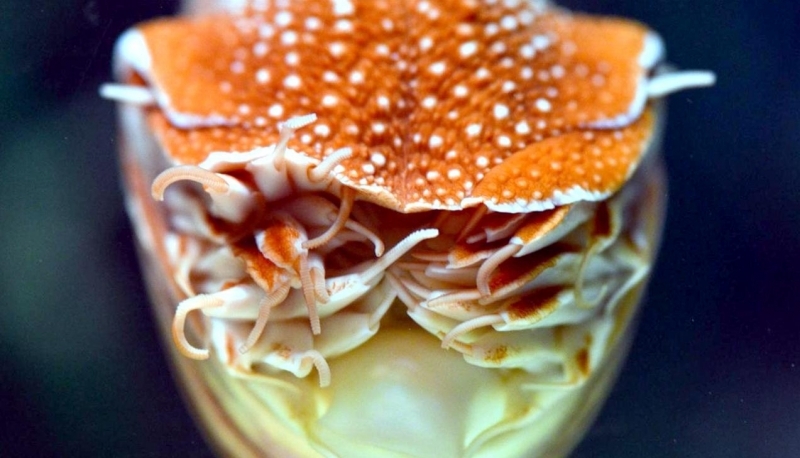 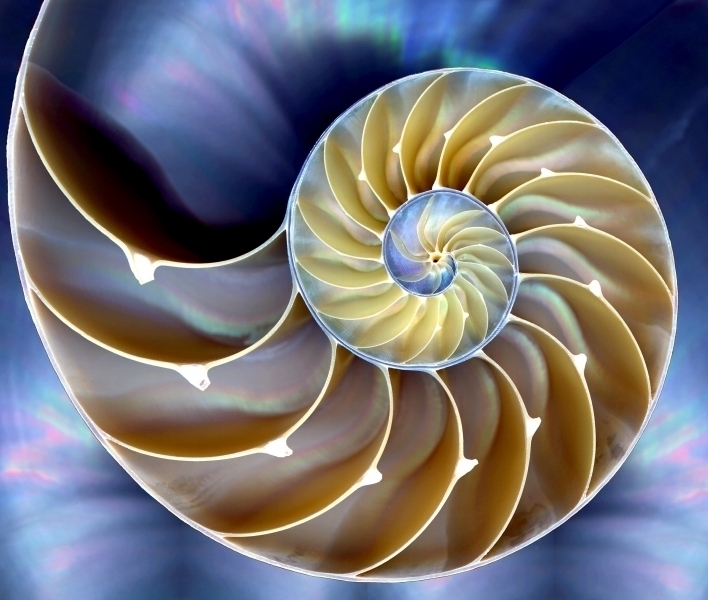 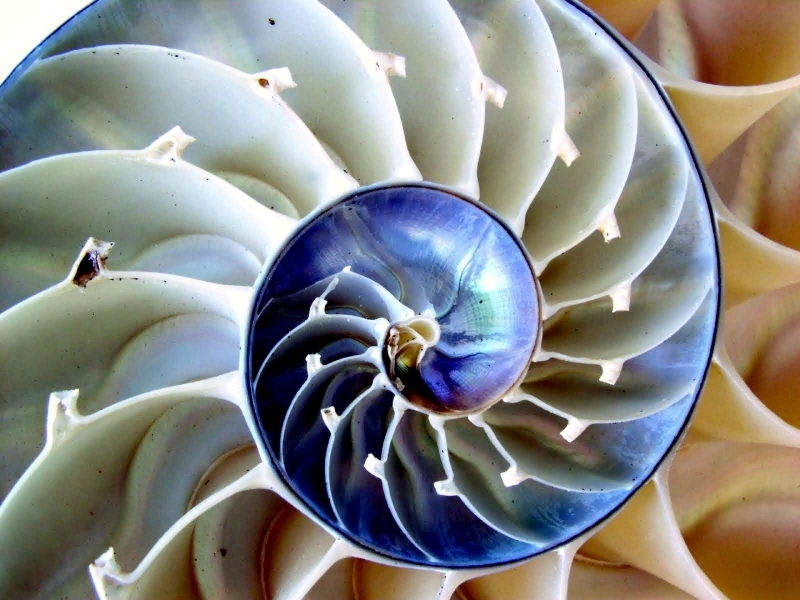 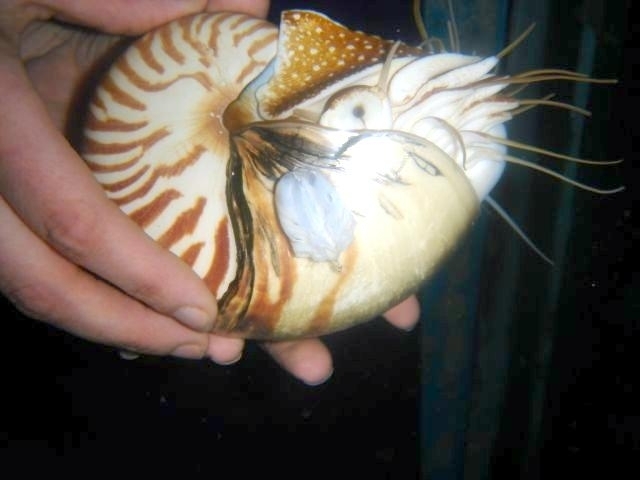 The spiral shell of the Chambered Nautilus is thin and smooth with a brown & white pattern. 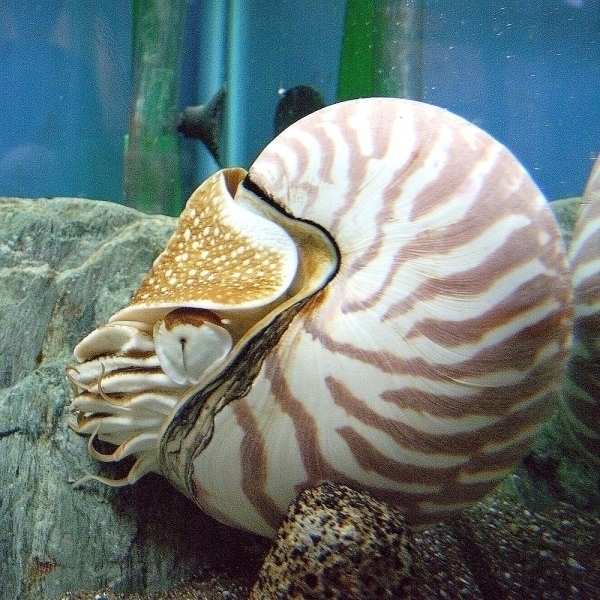 They have up to 30 chambers created in their shells as the animals increase in size and move to occupy the outermost chamber. 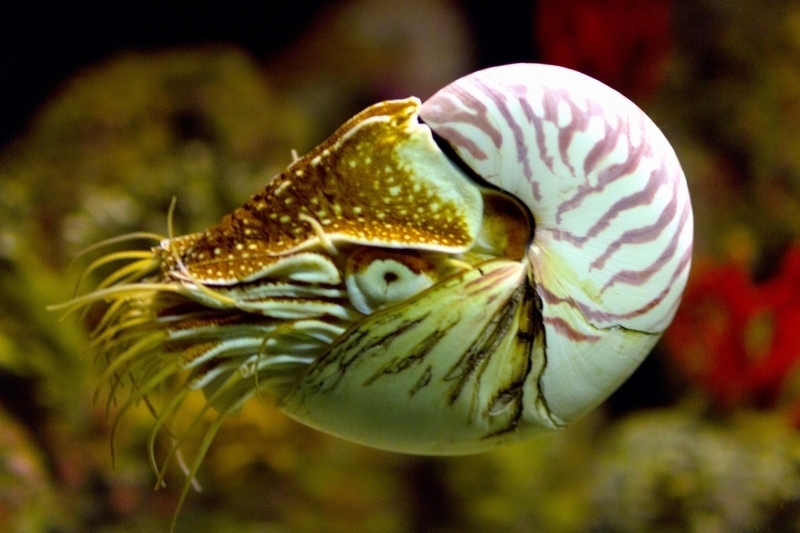 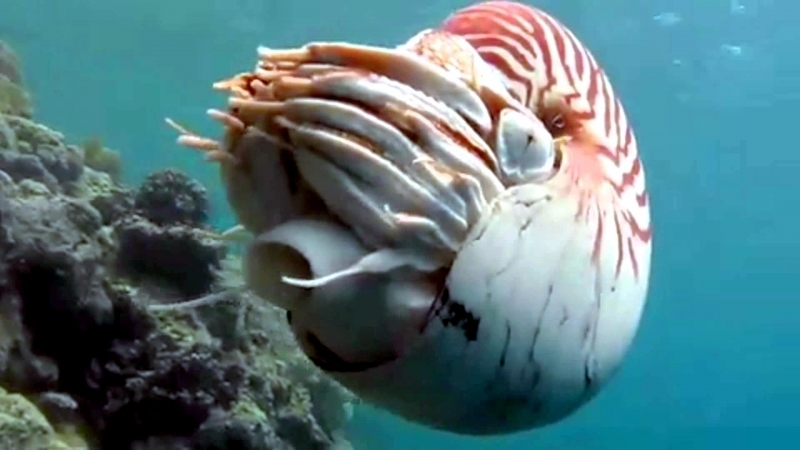 The Chambered Nautilus maintain buoyancy through gas passed through a tube in the shell called a siphuncle. 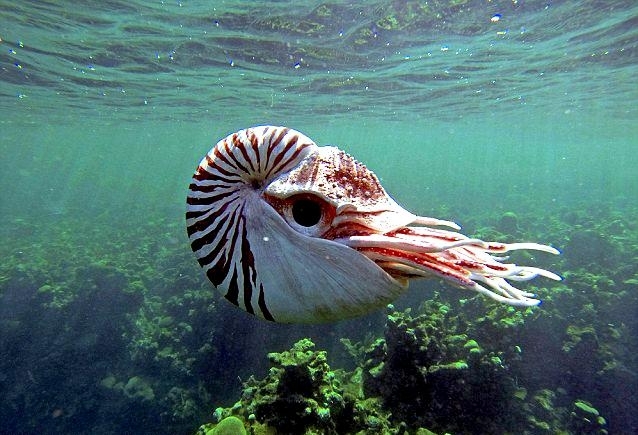 This also helps the animal stay upright in the water. 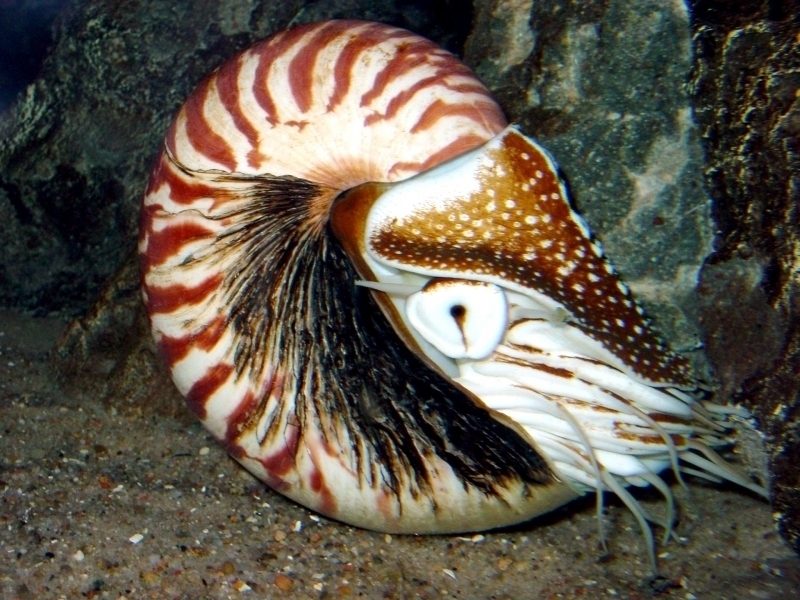 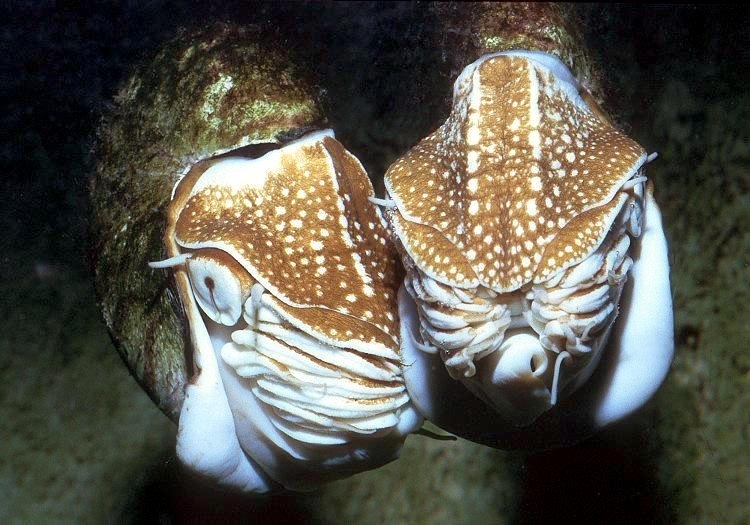 The Chambered Nautilus have about 90 small sucker-less tentacles close to where their body is attached to their shell. 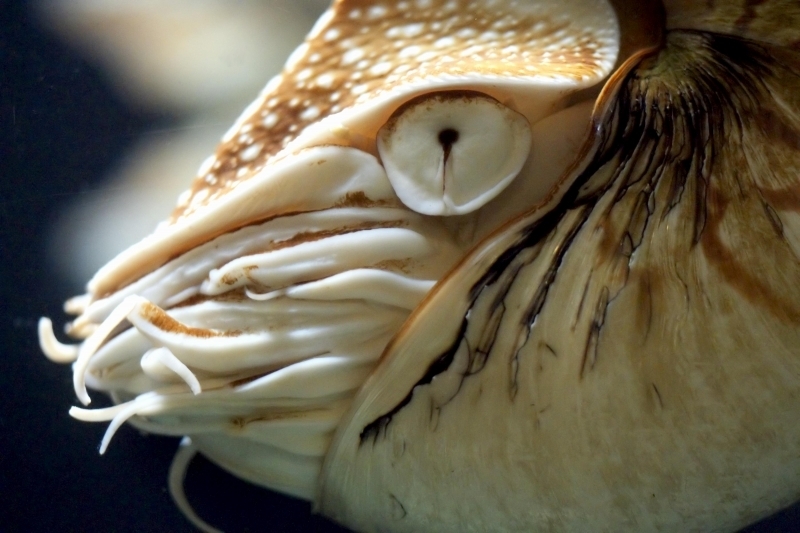 These mollusks have very simple eyes without a cornea or lens. 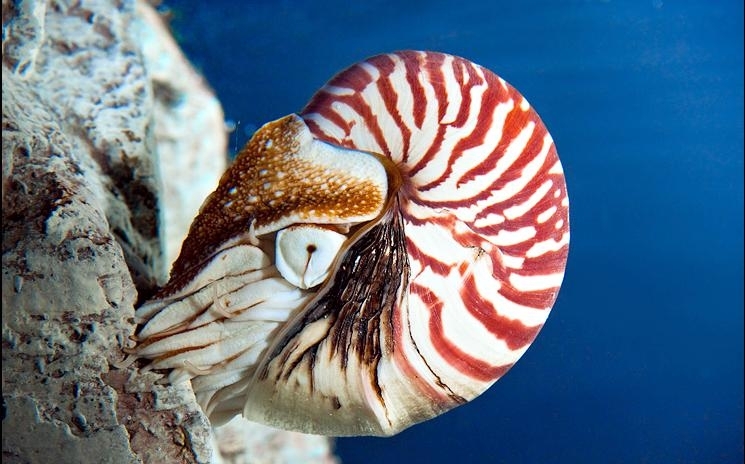 The Chambered Nautilus are found in the western Pacific Ocean and are often found near the ocean bottom or near coral reefs in waters up to 500 meters deep, but they do travel to shallower waters at night. 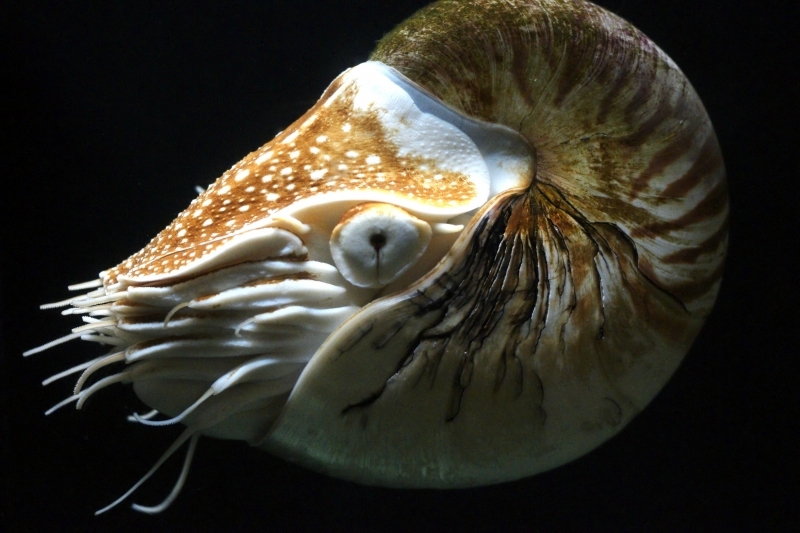 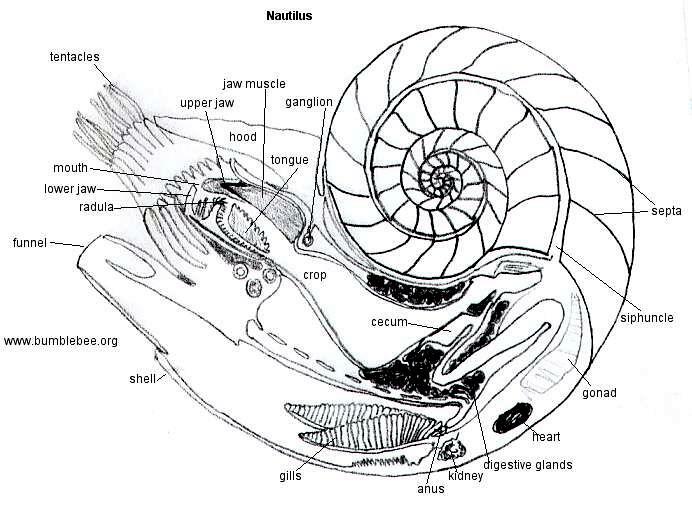 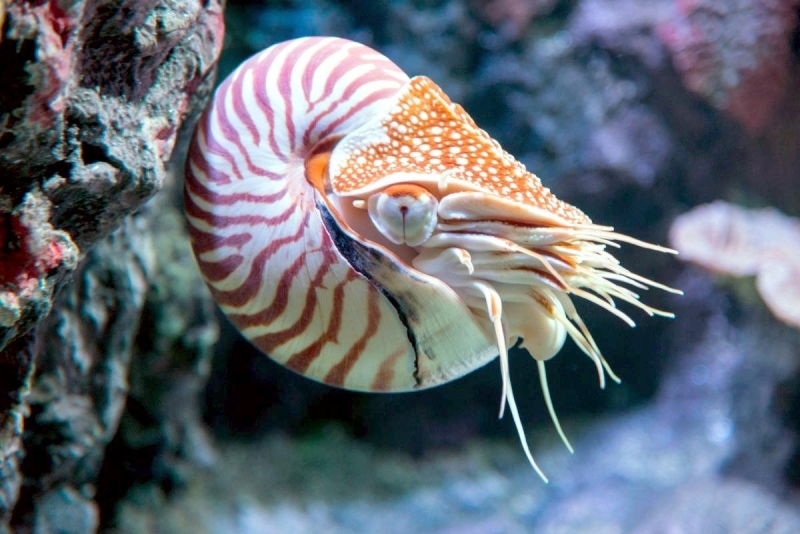 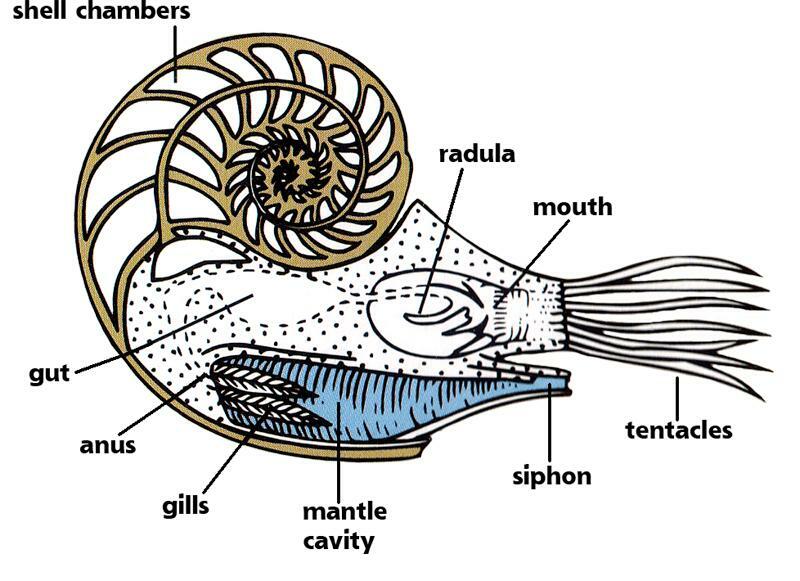 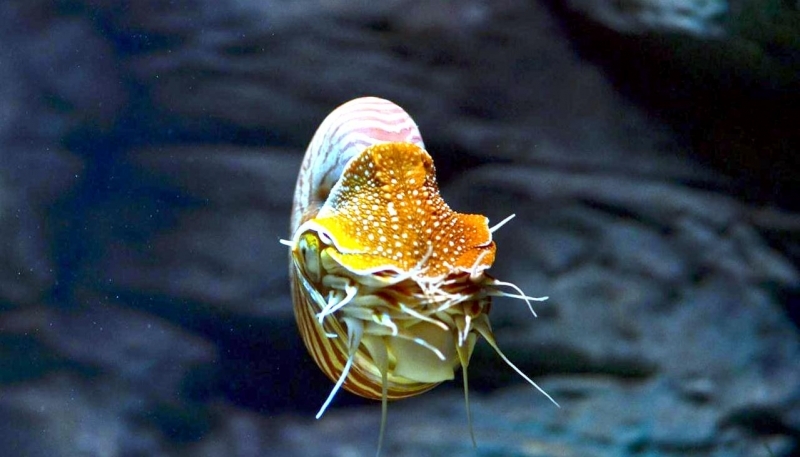 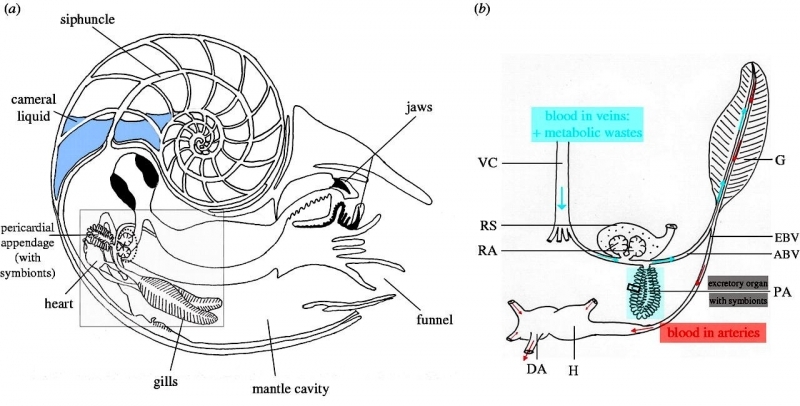 The primitive eyes of the Chambered Nautilus are not effective for finding prey, therefore the animals uses its acute sense of smell to find small fishes & crabs. 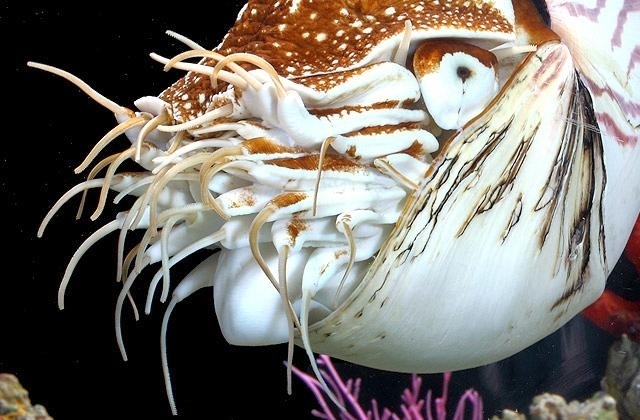 They are also known to feed on carrion. 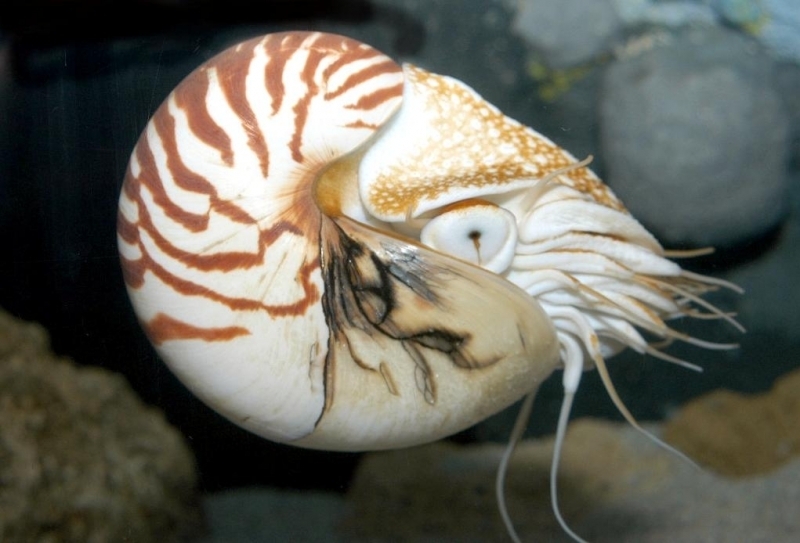 The Chambered Nautilus reach sexual maturity at between 15-20 years of age and reproduce through internal fertilization. 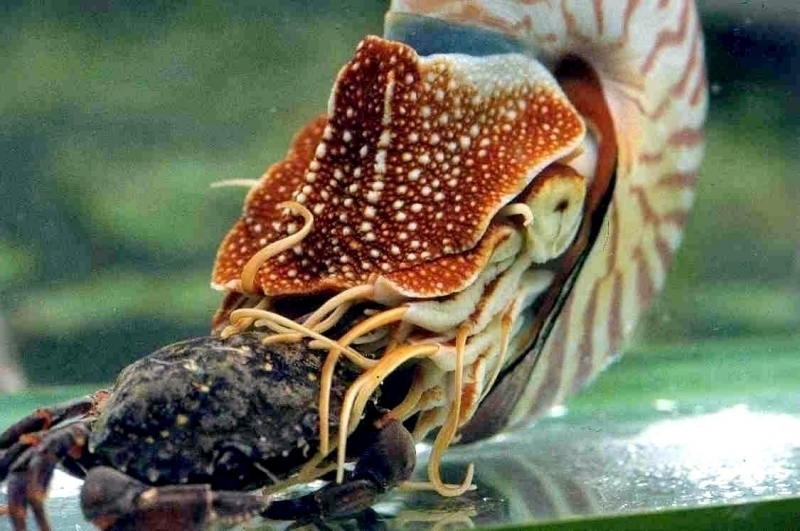 Males transfer sperm to the females using 4 of their tentacles through a spermatophore with a protective coating that contains a mass of sperm, which adheres to the female’s mantle wall. 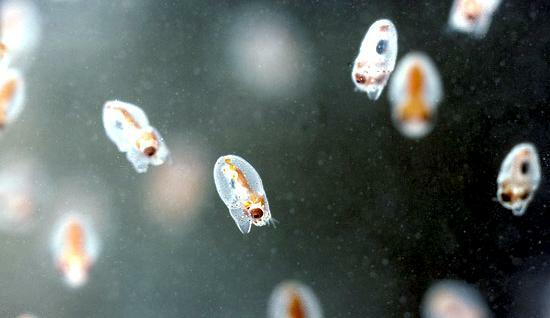 After the spermatophore is transferred to the female, the coating dissolves and the sperm is released. 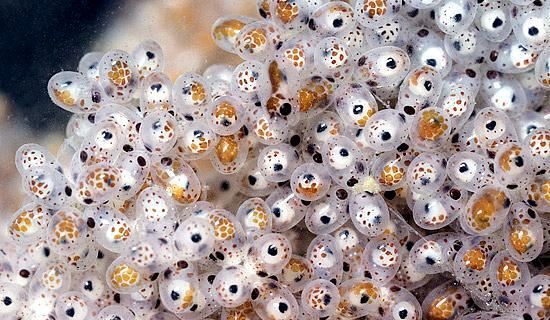 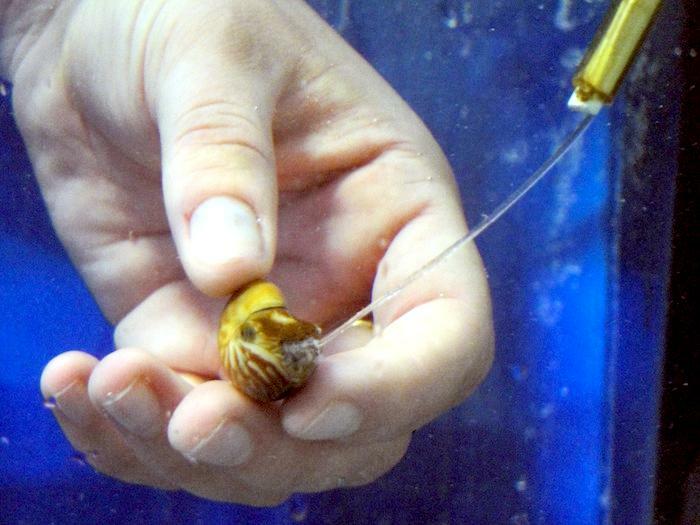 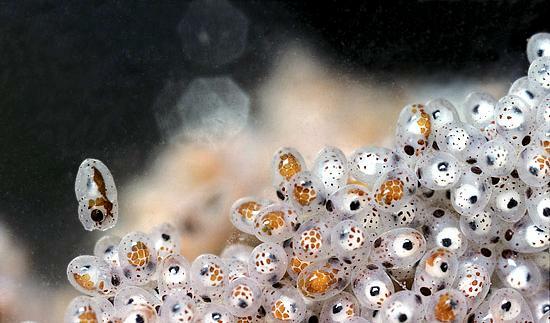 Females then lay fertilized eggs, each about 3.8 centimeters in length. 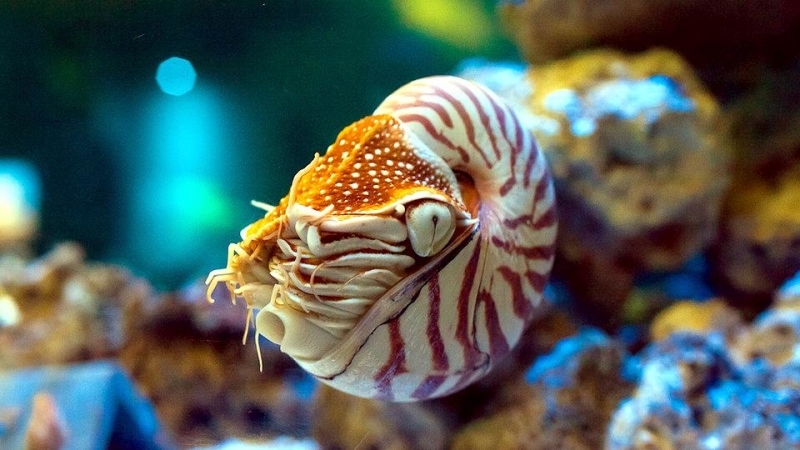 The shells of newly hatched the Chambered Nautilus are about 2.5 centimeters in diameter.